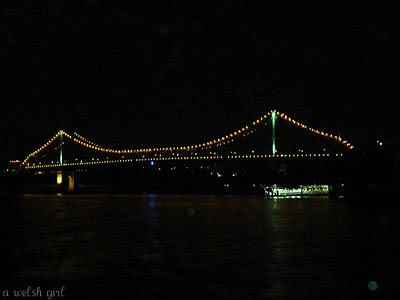 A Welsh girl in Australia: Some of Brisbane by night. Some of Brisbane by night. so I've stopped for a rest and have been uploading some photos taken over the weekend. We enjoyed the company of some family from up the coast who also brought our 'adopted' Nona. 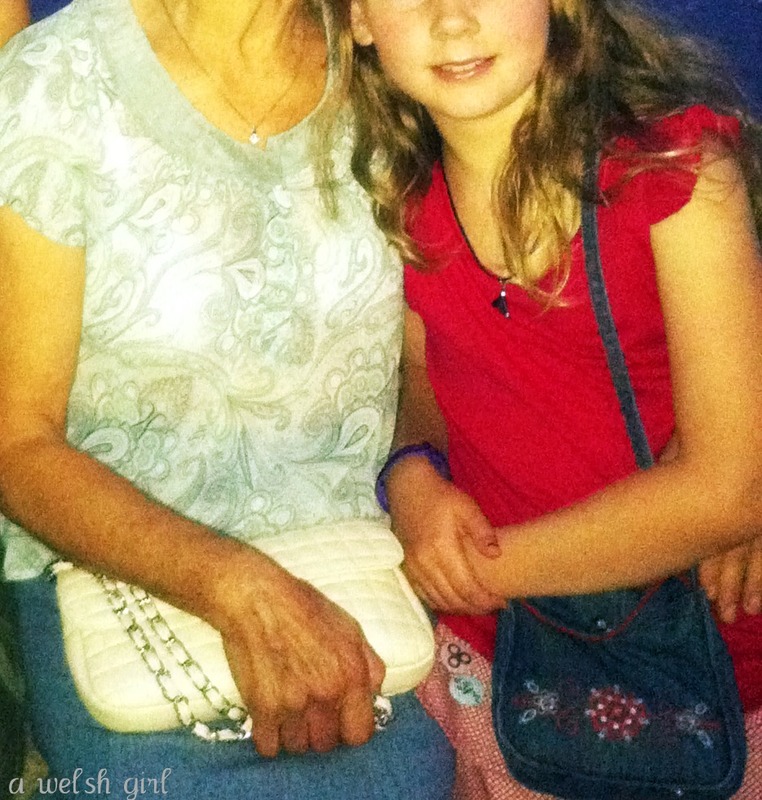 Nona emigrated to Australia when she was seventeen and has kept her gorgeous Italian accent. and gave Nona a bit of a city tour via the river. Want to have a look at my city at night? There is something quite enchanting about how the city lights reflect in the water isn't there? There are sixteen bridges that cross the Brisbane River with five being within close proximity of each other. There's also one cross river tunnel that opened in 2010. No wonder I found it difficult to find my way around the city when I first arrived here. One minute I'd be one side of the river and the next I'd be on the other. I can remember one evening driving about 50 minutes to eventually get to a restaurant about 10 minutes from home. We were river bank hopping for ages! Another funny tale is that my sat nav system has not been updated to include the newest Go-between bridge. Now if I cross it the little cursor flashes in the middle of the water and 'Dave' the voice instructs me to "turn back immediately - route re calculation"! 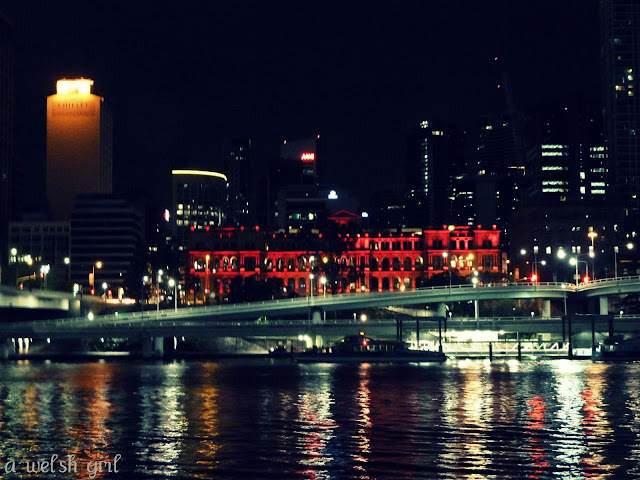 Directly opposite the Treasury on the other side of the river is South Bank Parklands. 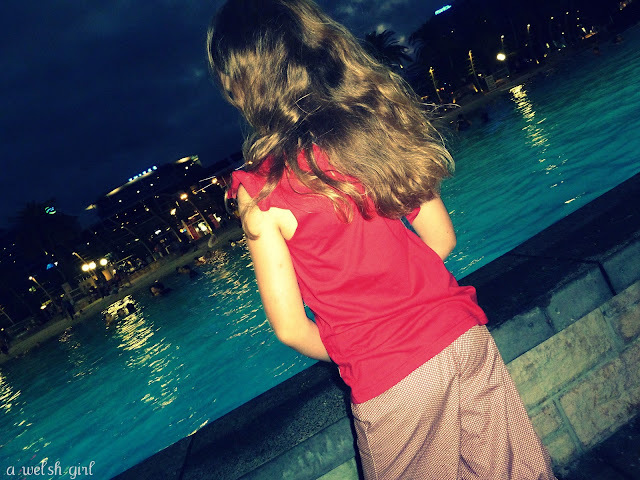 Our evening walk took us along South Bank Parklands and past the beach. This area was completely destroyed by the 2011 floods and re-opened mid year. It's now back to its sparkling best and was being enjoyed way past sundown on a Saturday night. South Bank is a bustling area with boardwalks, cafes, restaurants, street entertainers and families enjoying picnics and plays. 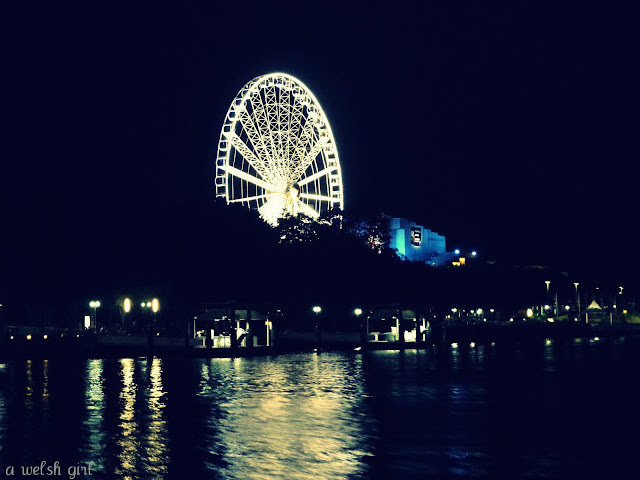 Just up from the beach is the Wheel of Brisbane which sits next to the Queensland Performing Arts Centre, and if you walk a little bit further you'll see the Museum, State Library and the Gallery of Modern Art. All places that we try and make the most of. 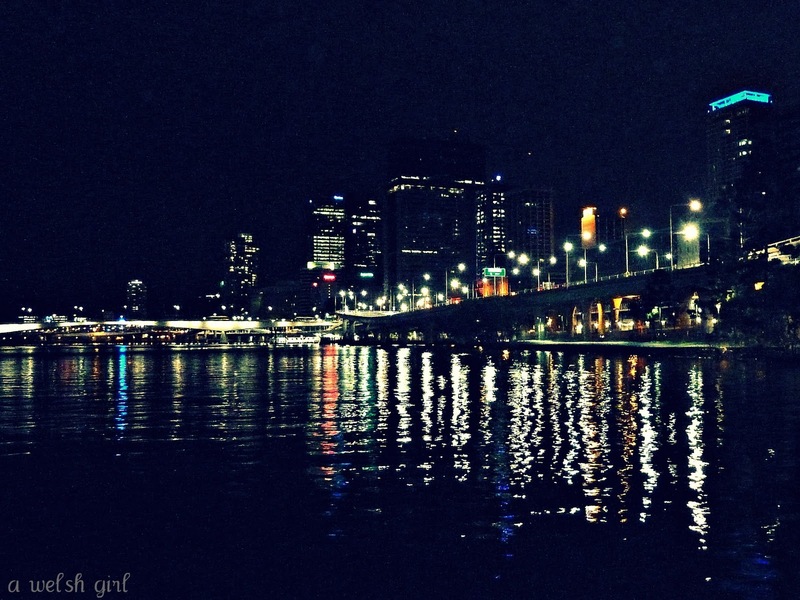 I think Nona got quite a taste for Brisbane at night. Hi Beth, what a wonderful tonic for a cold and windy Irish night! 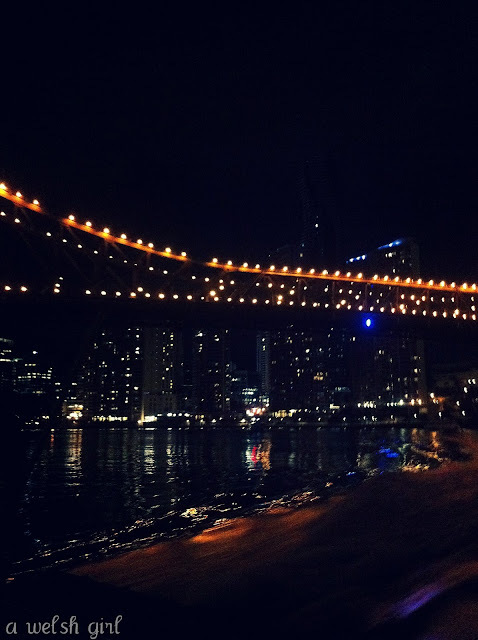 I loved the sat nav story, and you getting lost all the time...16 bridges, that is amazing! Love Linda x p.s. Sibs looks gorgeous as always! Looking forward to chatting to you soon.